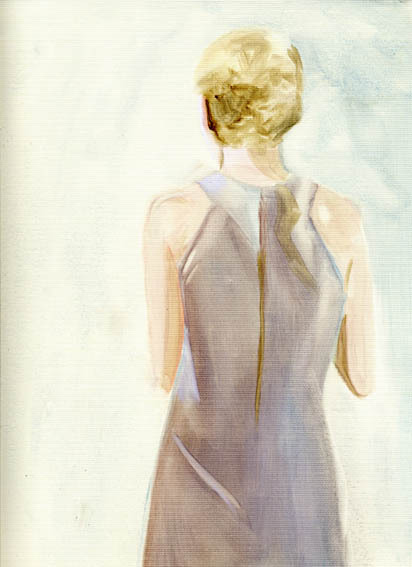 Cathy Lomax, Outfit 38: Taupe, linen, sleeveless dress with racer back and back zip. (Castevets’ New Year’s party), 2009, oil on canvas paper, 31x23cm. From the Rosemary Woodhouse's Wardrobe series.